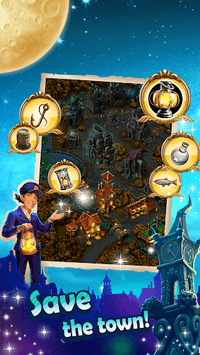 Solve Match 3 quests and reveal Clockmaker's Mystery. New Year/Christmas events! Welcome to Clockmaker, a free match three game. Cascades of three in a row: gems, jewels and puzzles. Find out the Mystery of the Maleficent Clockmaker. Rescue an old town. Embark on a magic puzzle adventure. Play a variety of 3 match games for free offline, online - no Wifi or Internet connection required, no ads. New updates and challenges every month! Great magic gem quests with story and story characters. Merry Christmas and Happy New Year for the upcoming events by Clockmaker! The Nutcracker, The Christmas Spirit, and The New Year Event! Play now and GET your Goodies! The Maleficent Clockmaker cursed an old town and its dwellers. Broken mechanisms, spider webs, and darkness - immerse yourself into a thrilling atmosphere. Pop jewelry, crush puzzles, find the Clockmaker - a dark figure of the town and reveal his secret. - Pop jewelry, crush and blast puzzles - challenge yourself! - Find the Maleficent antagonist and reveal his secret, find out the Mystery! - Save an old town from the curse - bring joy to the dwellers! - Over a thousand breathtaking puzzle quests - drive away your boredom! - Clockmaker - a game with an amazing story for adults and young adults. 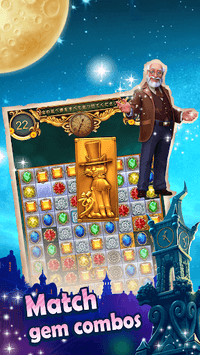 Riddle Stones, The Chest, The Cryptex... - Master all puzzles of the magic jewel saga! 💎 Magic jewels and gems 💎 - «Clockmaker» downloads have exceeded 30 mln and it is growing day-to-day. 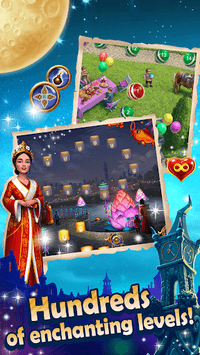 People all over the world daily are playing this amazing atmosphere match 3 adventure quest game - amazing jewel saga! Play offline, online - no Wifi and Internet, no ads. An amazing story for adults and young adults! Check for the New Year and Christmas events!